The first of this year’s series took place on April 8th. 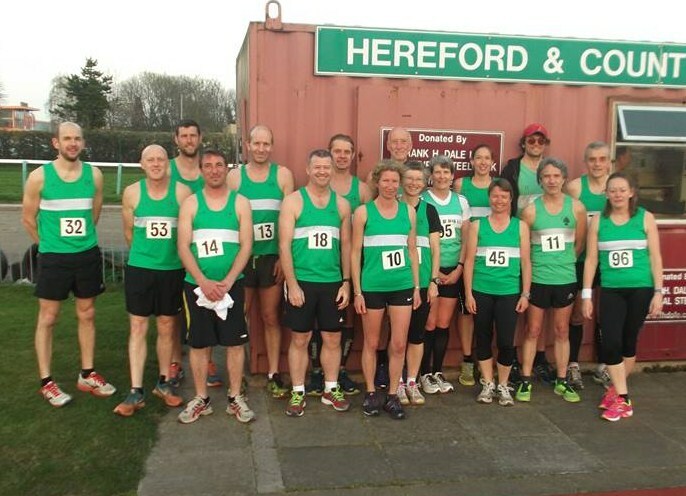 124 runners took part, of which 20 were from Forest of Dean AC. The overall winner was Matt Collins of Micky Morris Racing Team in 15.40. First FODAC finisher was Chris Penny, 14th in 17.28. First lady was Victoria Baker 39th in 19.29. Top age-grading honours went to Margaret Powles who finished in 22.52 with a grading of 80.2%. Alan Robertson took the Club’s MV60 5k record in 21.02. 15 of the 20 runners set personal bests. Other times: Dan Sandford 18.14; Julian Boon 18.24; James Dobbing 18.32; Gavin Robertson 18.41; Dave Lowthian 19.06; Scott Berry 19.33; Andrew Kaye 20.29; Sherryl Hall 20.48; Wayne Stewart 20.49; Chris Moore 21.05; Sue Shergold 22.28; Peter short 23.37; Roy King 24.13; Lynne Park 24.56, Graham Bennetto 25.26 and Karen Barnett 26.18.